A couple of weeks ago, we went to an auction. The local second hand store was going out of business, and everything was going – no reserve. Dangerous place to take me, let me tell you. So off we went at 8am on a Saturday morning to sign in and have a look at the wares. We’d been through the shop before of course before it went up for sale, but everything was so expensive! Especially since it was all previously used, previously loved (or not) or very, very old. I went straight to the books section, where everything had been boxed up, and made sure to write down the numbers of all the boxes I wanted. There were many, but I didn’t want to be greedy. I just wanted the four boxes that held the children’s books, and a box of really old hardcover books in various states of disrepair. By the time the auction made it as far as those boxes of books, I had inhaled two cups of CWA coffee and a couple of home-made scones (with jam and cream). Wifey had headed off home to do some housework and left me to my bidding wars. Then we came to the table that held the boxes of books I coveted. 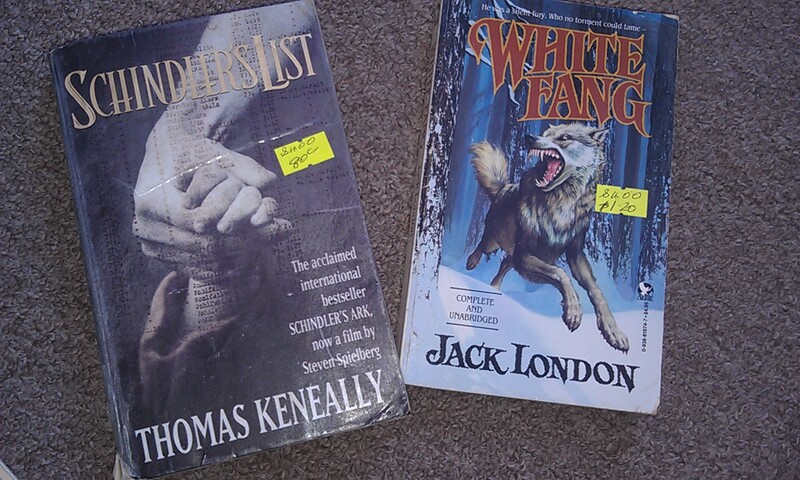 There were around 15 boxes of books, of which I only wanted three. The auctioneer explained that we would be bidding “for the pick” – so the winning bidder could take their pick of any or all those boxes. Just my luck that someone will want the whole damn table, I thought. My luck, it seemed, was in. I was the winning bidder at $5 for a pick. I thought at first I only got one pick, but no, that auctioneer said I could have as many as I wanted, and pick my numbers. So I chose my three boxes, making my grand total spend for standing around for three hours at $15. And the laugh was on the other bidders for being slow out of the traps – the next lowest pick bid went for $15 for a box. We got them home (after bidding on and winning a few more things, and spending a little over 8 hours in total at the auction), and I couldn’t wait to go through those books to see what my $15 had bought me. I lucked in to a pretty good haul. Below are some pictures of a couple of things that caught my eye. The rest of the books have been sorted out and are going to the kids in my family. Yes, I’m THAT aunt that always turns up with books! 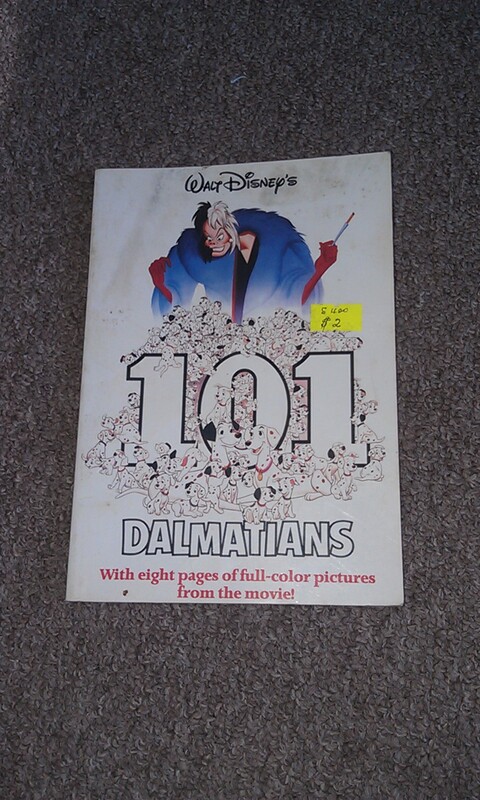 I can’t wait to re-read 101 Dalmations. I remember reading this one when I was in primary school, just before the Disney movie came out. I went to the local movie theatre with my cousins to watch the movie, and loved how the movie mirrored my imagination when I’d read the book. Some classics I haven’t yet read, but have been on my To Read list for a long time. Now I get to finally read them – when I can find the time. Ah, sweet romances. I mostly read SVH and the Sweet Dreams series of books. The thing I remember most about them was how they made me feel so warm and fuzzy after reading them. Also, I always wanted to be the guy getting the girl, rather than the other way around. This is a classic Aussie poem and song. It would have been something I read when I was at primary school. 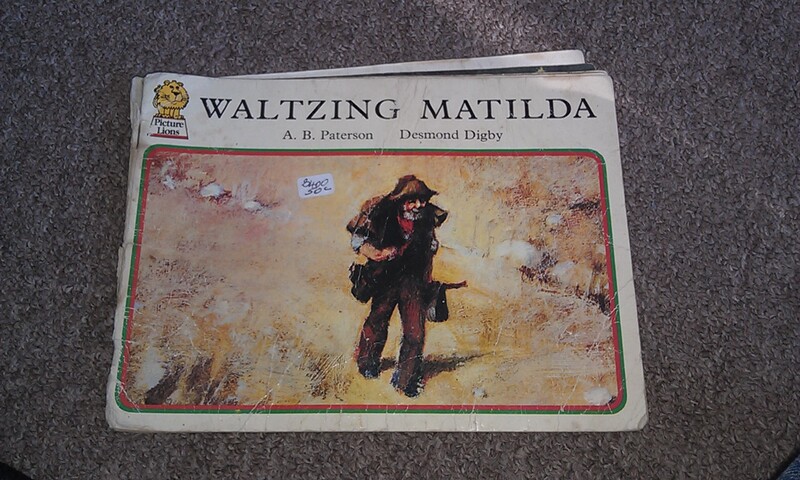 It’s really banged up, but the illustrations are fantastic. Though I want to share this with my nieces and nephews, I’m going to keep this one on my bookshelf. These aren’t the only great books from my haul, but they are the ones that brought back some great memories from my childhood. I love how books can do that.